Scientists from the University of Liverpool’s Institute of Infection and Global Health have shown that phage therapy could offer a safe and effective alternative to antibiotics in the treatment of Cystic Fibrosis lung infections. Chronic lung infections caused by the bacterium Pseudomonas aeruginosa are becoming increasingly difficult to treat due to antimicrobial resistance (AMR). 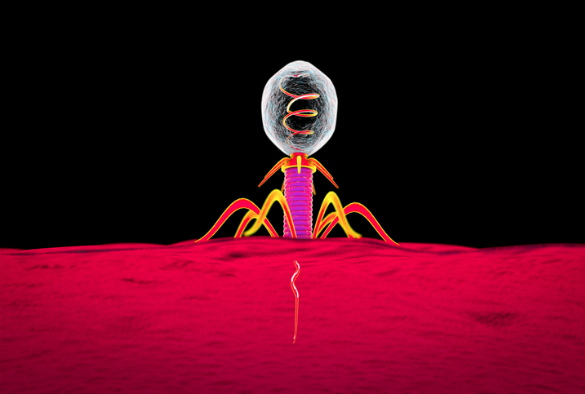 With limited alternative therapeutic options available this has led to a renewed interest in (bacterio)phage therapy. 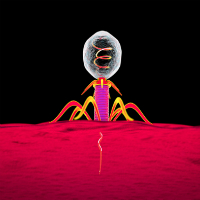 Bacteriophages very specifically target bacterial receptors. There is no danger of mutations leading to them being able to target human cells. The phages used are so-called “lytic” phages. They target and kill their bacterial targets very quickly. There is no pressure for them to mutate. If anything, the limitation is that the bacteria can potentially mutate so that the phage are no longer effective. ie. the bacteria become resistant. If that happens, then potentially the virus might mutate to counter the bacterial mutation, but it is unlikely to widen the range of possible bacterial targets (possibly some close relatives – other members of the same species) and it certainly wouldn’t enable them to target human cells. This is obviously quite good, however, viruses mutate, and if these do, would their scope for targeted bacteria/ human cells not widen?